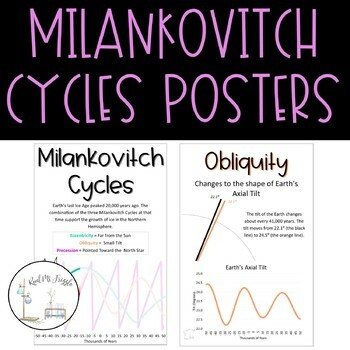 The Milankovitch Cycles explain natural climate change. Certain combinations of the cycles lead to global Ice Ages ⛄ and global Tropical Ages ☀️. Upgrade to a Lesson! 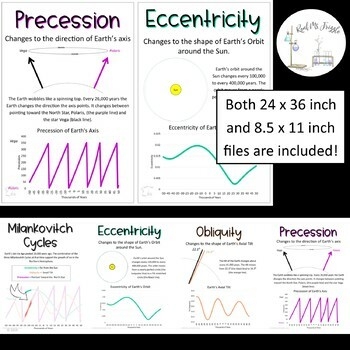 You can get these posters AND a PowerPoint with student JUMBO Notes!